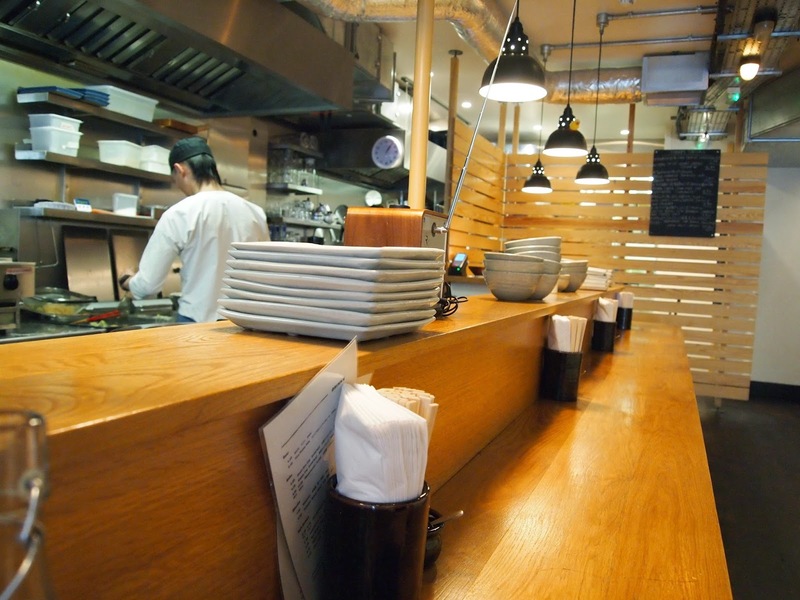 Koya is a small Japanese udon noodle bar on Frith Street, Soho. My sister, Grace, and I have a Yo Sushi tradition when she visits for a shopping trip but this time we decided to try something a little different. 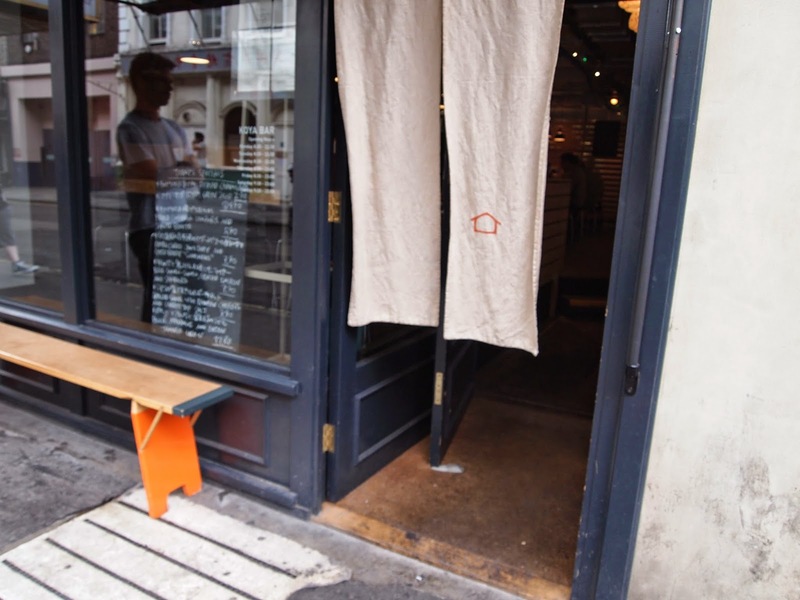 The restaurant is intimate and feels laid-back and casual - perfect for a friendly chat over some udons with an atmosphere more like a cafe than a restaurant. The food is served on a long communal table that wraps around a bar, behind which the food is prepared before your eyes. It's a simple space with bleached wood and white walls, and was perfect respite from the weather outside, which was blisteringly hot in the unbearable way London is during heatwaves. Perhaps we were lucky, as the place was quiet and there were lots of seats free. We sat down immediately and got to ordering. I have heard reports that during rush hours it can be manic. We went on lunch time on a Tuesday. Grace ordered the duck astu-atsu, which is udon noodles in a hot dashi broth, and I had the ten don donburi, which comes with a miso soup. On the side we had the kaiso (or mixed seaweed) salad to share. Firsty, my ten don donburi was great. I usually steer away from tried and tested dishes in order of something new, but I spied one being prepared when I walked in and couldn't resist. The deep fried king prawn was light and crispy. I find the curry sauce as places like Wagamamas over-powering and stodgy and only want a few mouthfuls. This sauce, however, was much more delicate meaning I enjoyed all of the dish, polishing off my bowl. The miso soup that accompanied it was also the nicest I've had so far, with big chucks of tofu. 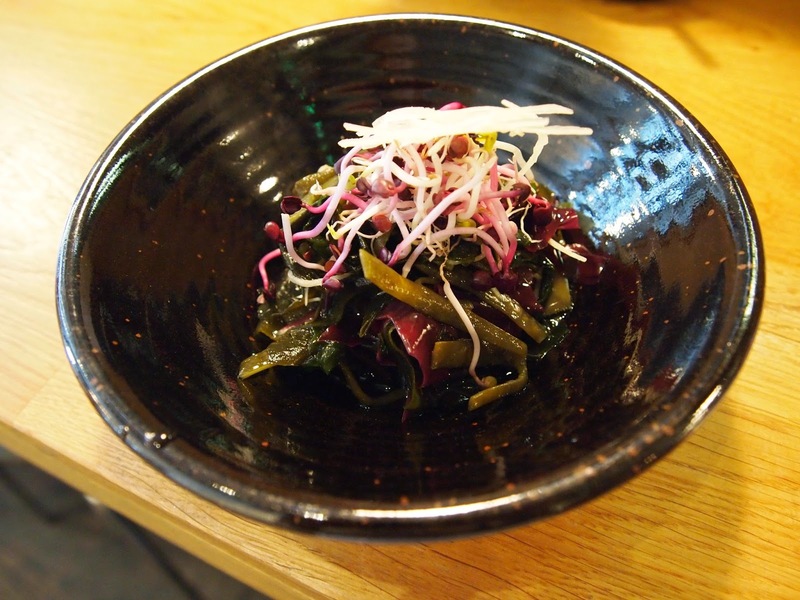 The seaweed salad was cold, slimy, salty and had a strong vinegar taste. That's okay if like me you are a seaweed lover. Grace was less impressed. The duck astu-astu had a generous amount of lovely pan-seared, pink duck. The homemade udon noodles were perfectly thick and squidy, just like they should be. The service was prompt, attentive and friendly and main courses vary from £6.90 to £14.90 Lunch served noon-3pm daily. 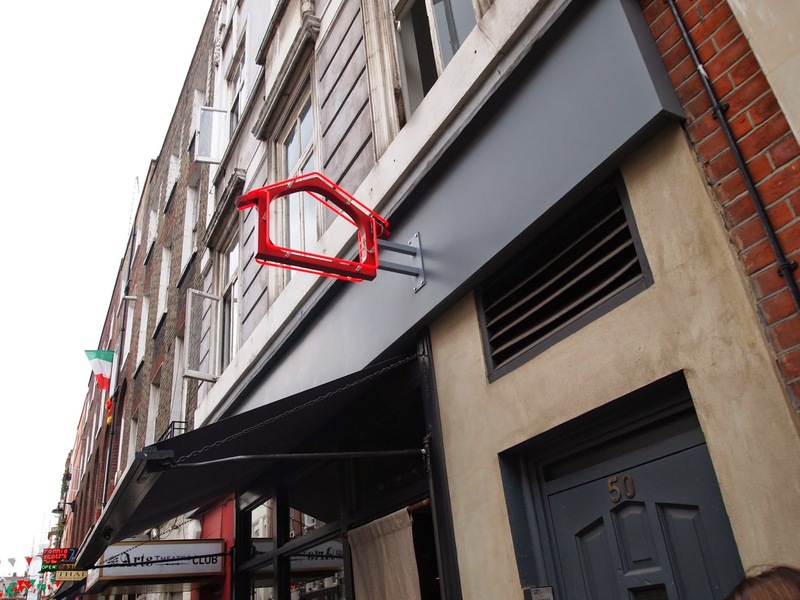 Dinner served 5.30-10.30pm Mon-Sat; 5.30-10pm Sun. 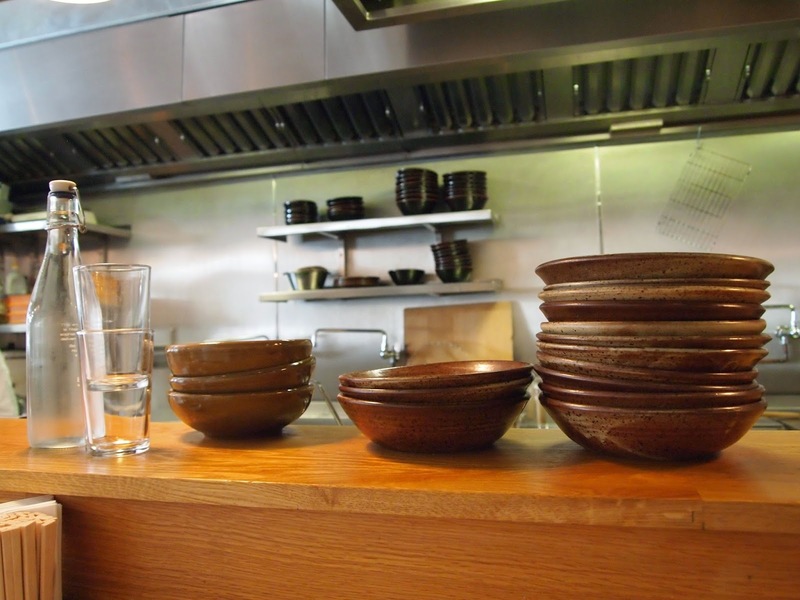 I would return to Koya happily, if I happened to have a hankering for noodles and find myself in the area. 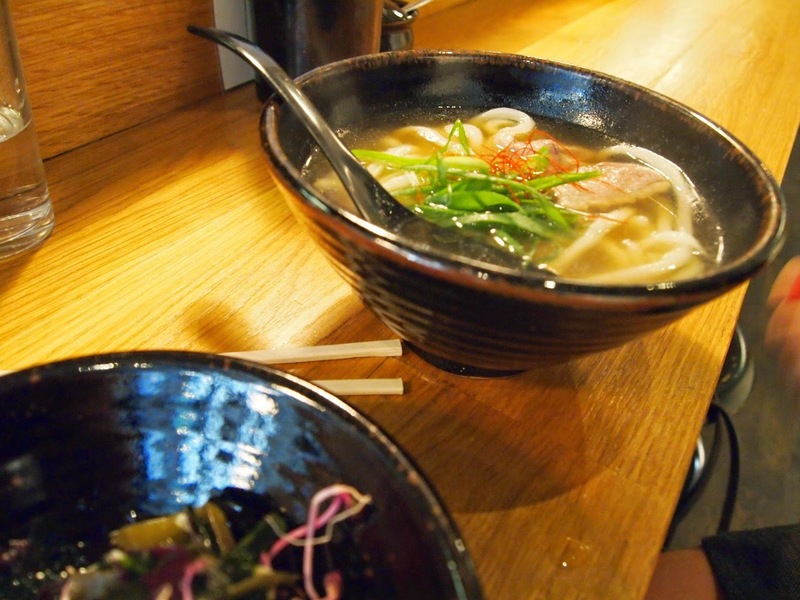 Next time I've resolved myself to tr the hiya-atsu, cold noodles with a hot dipping broth.